How about playing an online slot featuring a world-famous music icon, complete with a superb soundtrack and sublime graphics? You’re in for a real (reel?) treat if you’re a Jacko fan, because the Michael Jackson King of Pop slot has now been released. Bally Technologies may not yet be as famous as Michael, but they will definitely make a name for themselves with this quality release. 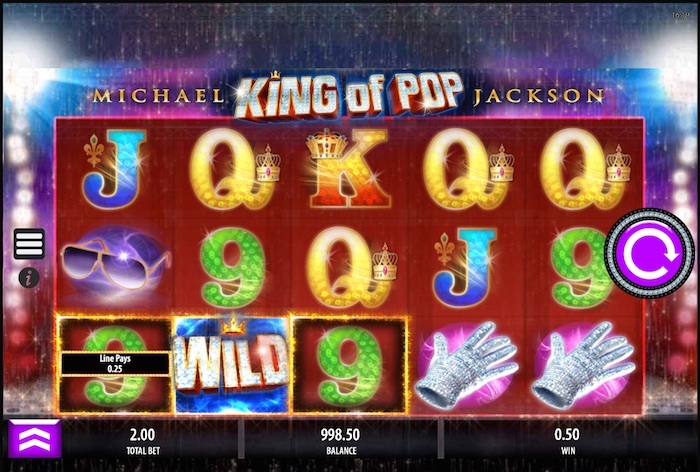 The Michael Jackson King of Pop slot is a 5 x 3 slot game with 25 paylines. You’ll see rain falling behind the reels and the whole game fairly sparkles with detail. They’ve spared nothing in including a nice palette of colours here, and the big spin button on the right leaves you in no doubt about how to start things off. Bally Technologies has definitely created a fine game here, with several notable features to get your head around. 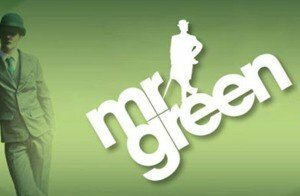 If you like your UK slot games to be of top quality, this one should tick the boxes for you. The sparkling background brings to mind one of his shows, and you’ll see all manner of very detailed symbols as well – the famous glove, the shoes and the hat, to name just a few. If a winning combination pops up, the squares glow around the edges to indicate which symbols have won you a prize. You also have a message to show you what that particular line has paid out. Your total bet, balance and any win gained will be shown at the bottom of the reels. The wild simply says wild in this game, making it easy to tell when it appears. There are four standard symbols that relate to Michael in some way – the glove, the hat, the sunglasses and the shoes. These pay anything from 120x to 500x your bet if you get five on a line. Additionally, watch out for Michael’s eyes to appear as the jackpot symbol. Five of these will award you the 2,500-coin jackpot, although a prize is still granted for two or more. This is a scatter, as is the bonus symbol, which shows Michael on stage. There is also an assortment of other wilds, which definitely cranks up the interest and makes the game even more fascinating to play. Okay, let’s tackle those Moonwalk Wilds first. You could get between two and five Moonwalk Wilds on any reel except the first one during any spin. There are three versions of this – the Double Wild, the Double Wild Bonus and the Double Wild Jackpot. If one of these appears as part of a winning line, it doubles the amount you’d normally get. You have stacked wilds as well, which also appear as Wild, Wild Bonus and Wild Jackpot. Any spin could result in two reels going completely wild. The best way to figure out how all these wilds work is to play for free on your mobile device or desktop, so you can see how different wilds work when they crop up. If you find a Michael bonus symbol on the centre line, or within a single position of it, you will trigger the Wheel Bonus. 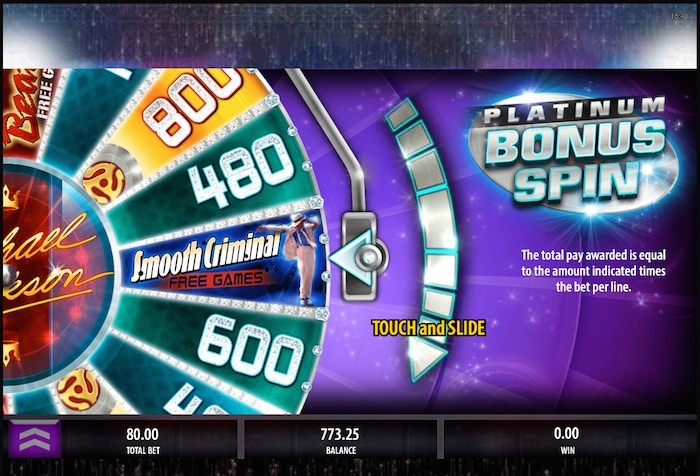 You get to spin this just once, but you can win credits, free games or another spin on a second wheel. This is the Multiplier Wheel, and each position grants a multiplier payout worth from 2x to 10x your triggering bet. But even that isn’t all. You can win 10 Beat It free games or 5 Smooth Criminal free games while playing the King of Pop online slot. These can be awarded on the Wheel Bonus part of the game. The first has wilds that stay in place throughout the spins, and the second has one or two wild reels per spin. The slot game has been designed to appeal to players with all manner of different budgets. It’s necessary to play all the lines with this game, but since the lowest bet is a mere 40p, this shouldn’t be a problem for even the smallest budget player. On the other hand, it’s possible to go up as high as £80 per spin. We should make mention of the RTP for the Michael Jackson online slot game, because it comes in at 96.01%. This is one of the most generous RTPs we’ve come across for a while, and that makes just one more reason why it’s worth playing the game. Slots for UK players that feature famous people or characters are becoming more popular all the time. It’s easy to see why, as they tap into an audience eager to know more about their favourite people. The King of Pop slot will trigger interest in Jacko fans, of course, but really, anyone who enjoys playing a top-quality slot – especially one with such a high RTP – will be assured of a great time.